Today is March 17th, St. Patrick’s Day. 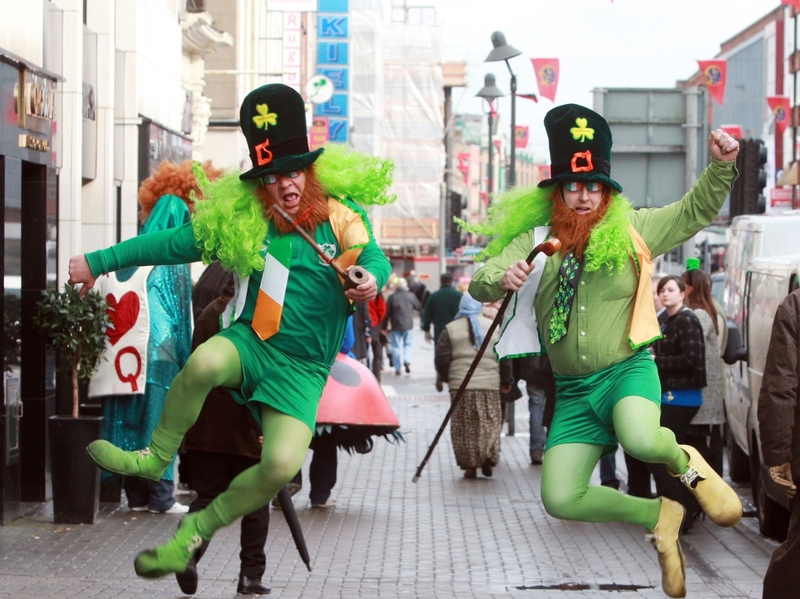 Did you know it was not always celebrated with lucky charms, green beer, fashion mayhem and leprechaun’s? The March 17 celebration started in 1631 when the Church established a Feast Day honoring St. Patrick. He had been Patron Saint of Ireland who had died around the fifth century—a whopping 12 centuries before the modern version of the holiday was first observed. We know that he was a Roman citizen, because Britain was Roman then, and then he was enslaved and taken to Ireland, where he either escaped or was released. He became a priest and went back to Ireland, where he had a lot of luck converting the Druid culture into Christians. St. Patrick was actually born Maewyn Succat, but changed his name to Patricius (or Patrick), which derives from the Latin term for “father figure,” after he became a priest. And the supposed luck of his is the root of all the themed merchandise for modern St. Patrick’s Day. Modern-day celebrations and themes continued to take shape during the rest of the 1700s. In 1762, the first New York City parade took place. It wasn’t until 1798, the year of the Irish Rebellion, that the color green became officially associated with the day. Up until the rebellion, the color associated with St. Patrick was blue, as it was featured both in the royal court and on ancient Irish flags. But as the British wore red, the Irish chose to wear green, and they sang the song “The Wearing of the Green” during the rebellion, cementing the color’s relevance in Irish history. As for the green beer, that’s an even later addition. In fact, it wasn’t until the late 20th century that Ireland repealed a law that initially kept everything—pubs included—shut down for the day. Since then, thanks to a marketing push from Budweiser in the 1980s, downing beer has become a common way to celebrate, regardless of how closely it’s tied to the actually meaning of St. Patrick himself. Irish Limericks are a form of simple poetry with a long, proud history. While the basic form dates far back as far the 12th century in other European countries, the Irish version found its stride in drinking establishments in the late 18th century and fit in with the days festivities especially over a few beers at the pub! This entry was posted in Faith, Nourishment, Poetry, Reflections and tagged Christian, history, Irish, St Patricks Day. Bookmark the permalink.